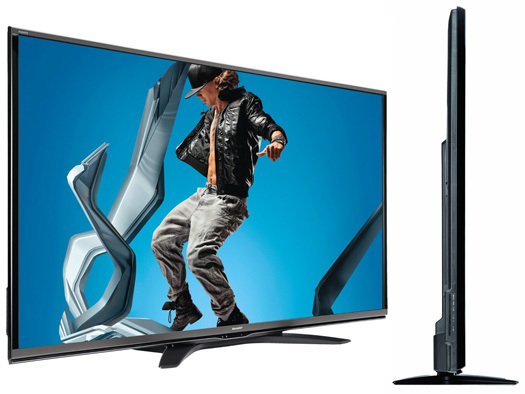 The Sharp LC-60SQ15U LED TV sits in the middle of the 2014 Sharp LED TV lineup. It's the smaller of the two SQ15 offerings, with the larger one at 70-inches. It's lost a lot of the premium features of the UQ series, but is packed with plenty of useful picture quality featrues and smart TV options to suit just about anyone. The most interesting feature of all is the ability to play 4K content on the 1080p screen. It carries a price tag of around $1,999 to provide a good value for the screen space and features. A bright and colorful picture is the highlight of the picture of the Sharp SQ15 series of LED TVs. The new Quattron+ color technology adds more subpixels to the display for a higher level of detail. Built-in upscaling works to provide a higher level of sharpness that a traditional 1080p screen can achieve. This model sports active 3D playback. We've favored all the passive 3D we saw last year, but the benefits of active 3D persist. It uses the AN-3DG40 Bluetooth 3D Glasses which are comfortable but run around $50 per pair. Front and center viewing yeild the best results. The 60SQ15U is ideal for bright room viewing. 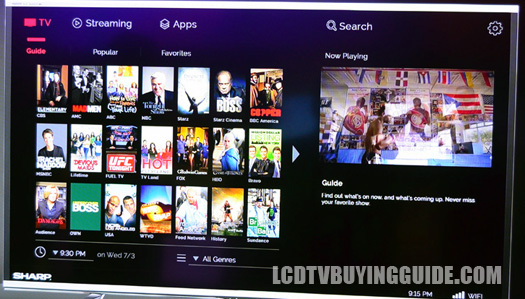 While you will not get the 3D viewing quality of the latest LG LED TVs, 3D viewing is good on the LC-60SQ15. 3D viewing has the best results from a front and center position with little to no room light or window light in front or on the sides. Otherwise, you will likely get some nasty flickering from the 3D glasses. This really limits its usefulness in the end. From side angles you lose some of the depth perception of 3D images. From front and relatively near the center the picture looks good in 3D. Colors are greatly enhanced and the 3D effect is nice on this TV which has an otherwise slightly flat picture. We've always seen a weakness with side viewing angles when it comes to these large format Sharp LED TVs. I will say that things are improving slightly. It definitely isn't going to compete with the high end LED TVs on the market, but it will be just fine in the right viewing room. 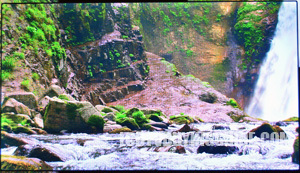 The TV loses some contrast and color saturation due to the edge lit LEDs and the pure size of the TV. The Sharp LC-60SQ15U boasts an excellent refresh rate of 240Hz. The jump to 240 from 120 is not as noticeable 60 to 120, but it a welcome addition that adds a great deal of value to the TV. Fast refresh rates are ideal for live sports programming, video games, and fast action scenes of all kinds. The appearance of the SQ15 series is plain and simple, but it works well. The thin black bezels and the black crescent shaped stand are typical when it comes to TV design for this class of TV. 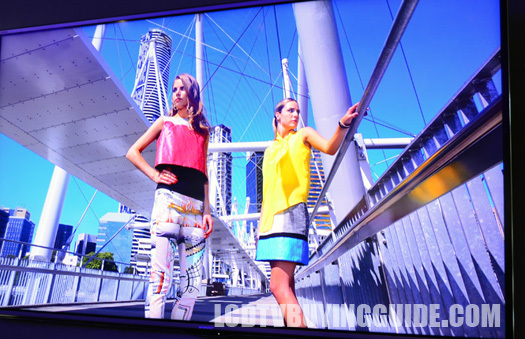 You don't get any of the avant-garde looks of the OLED and 4K models here. The overall thin depth is a welcome additions as well. The frame is aluminum, which is a nice touch and speaks to the known reliability of Sharp's TVs. The Sharp LC-60SQ15 LED TV has plenty of high points and a similar feature set to the top tier UQ17. All of these make it a good buy for your TV room if you want a big screen for a value price. Future-proofing with 4K content is also a big plus. Flat picture depth and less than stellar sound quality are hits to the overall package, but don't take it out of the running. A retail price of $2,000 (sometimes less from online retailers) put it in pretty close competition with the Samsung UN60H6400 (minus the 4K playback). The most redeeming quality about the UQ17 is the ability to accept and play 4K signals on a 1080p TV. Dimensions without stand (w x h x d): 54-19/64" x 32-17/32" x 3-3/64"
Dimensions with stand: 54-19/64" x 33-29/32" x 14-21/32"